The Gateway of India Jetty Ride. Bargain with the water sports sellers to get a reasonable deal. On weekends this place is very crowded. Hire a taxi from Alibag. A jetty from gateway of India. 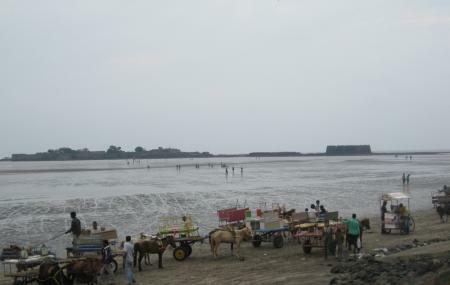 How popular is Mandwa Beach? People normally club together Kanakeshwar and Karnala Bird Sanctuary while planning their visit to Mandwa Beach. One of the most beautiful and calm beach. A great option for family trips. Close to Mumbai. Mother nature at its best. Do enjoy the sunrise or sunset. No man's land generally, literally flat sea shore. Generally no one comes here on this beach, but actually it is very nice and clean beach. Also the sea shore is quite flat so that even if you can't swim you can go far inside the water. Also big development done near beach in this area of mandwa jetty.